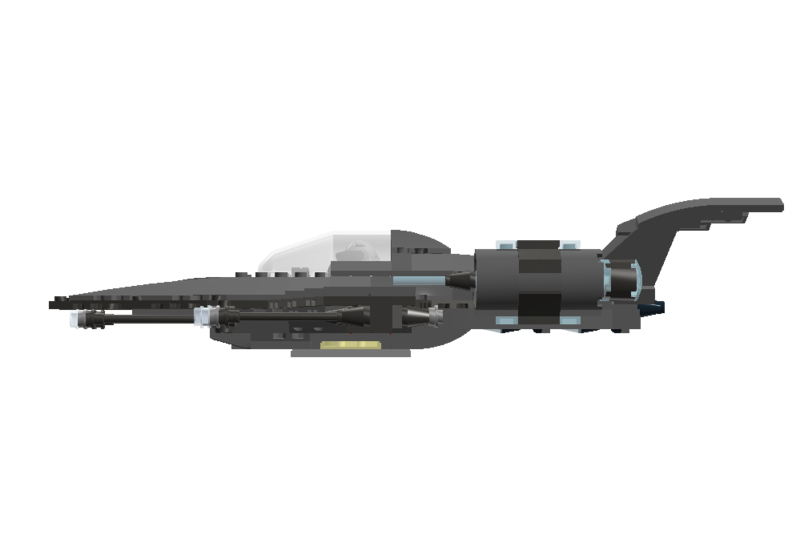 The Star Phoenix VI is the sixth installment in the lineup of 'Phoenix Star Fighters, designed and produced jointly between Alpha Centauri Fleet Yards and United Star Fighters Incorporated, in service with Star Force, Star Fleet, and the United Federation of Planets. 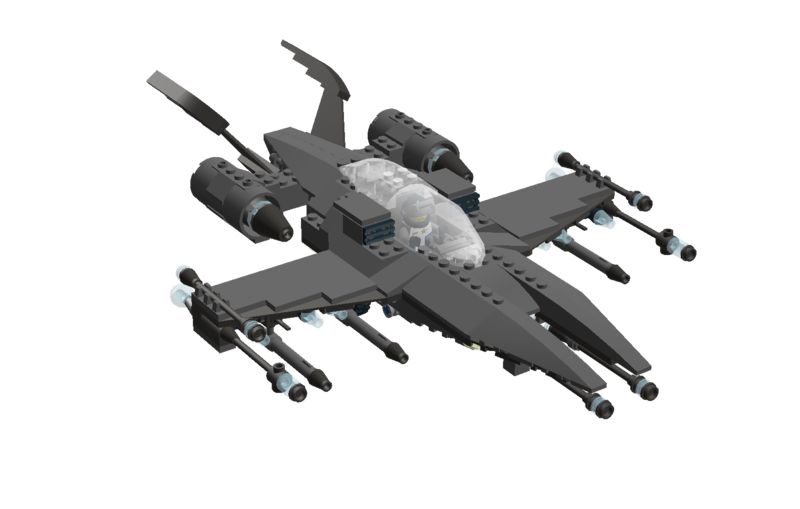 The original Star Phoenix was a medium-sized, heavily armed and armored fighter. With an assortment of powerful missiles and weapons, the Star Phoenix could put plenty of bite into its attack. With two powerful engines, she was fast and agile as an aerospace craft, both in space and in the sky. 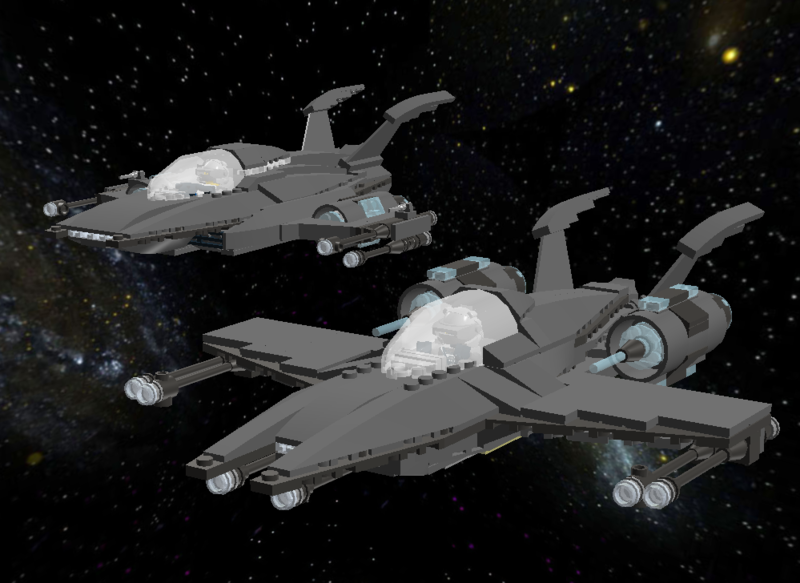 In December of 2509, engineers from Talmidian Starship Industries built a knock-off refit of the 'Phoenix, called the SF-18, only to give the upgraded design back to United Star Fighters Incorporated for continued use. The Star Phoenix II doubled the weapons of the original 'Phoenix, and saw military action during the Second Jandar War and the Yor War. The third incarnation, the Star Phoenix III, brought with it even stronger weapons and some design improvements - but like the Star Falcon III, the 'Phoenix III became a big whale of a plane, like a smaller Star Falcon. After the wars, the post-war era Star Phoenix IV was much smaller and lighter than the preceding version. The 'Phoenix IV rectified the blur that had formed between the Falcon and Phoenix models. Now they were separate again. The outgoing model, the Star Phoenix V, continues the downsizing trend followed by most modern era fighters of mine. However, the 'Phoenix V came packed with bigger wings and stronger engines, increasing speed and maneuverability. Now, for the new model: Prepare for the Star Phoenix VI! 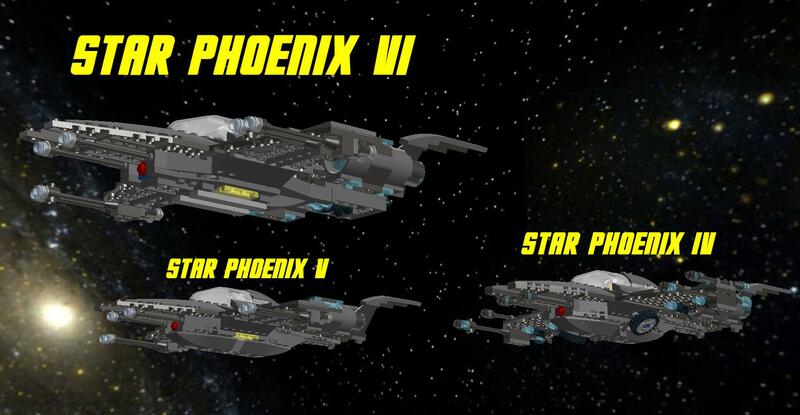 The sixth and latest member to join the family, the Star Phoenix VI is even smaller than the outgoing model. She's shorter both in length and height. While the cockpit is smaller, unfortunately for the pilot, it remains roomy enough to accommodate some cargo and provisions behind the seat. 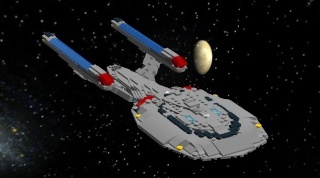 The new 'Phoenix also comes armed with better weapons than its predecessor, and improved engines. The shape has also been changed, and except for the very front end, the engine pylons, and the tail fins, the new Star Phoenix VI is all new. One unfortunate aspect of the 'Phoenix VI is the lack of a rear window. 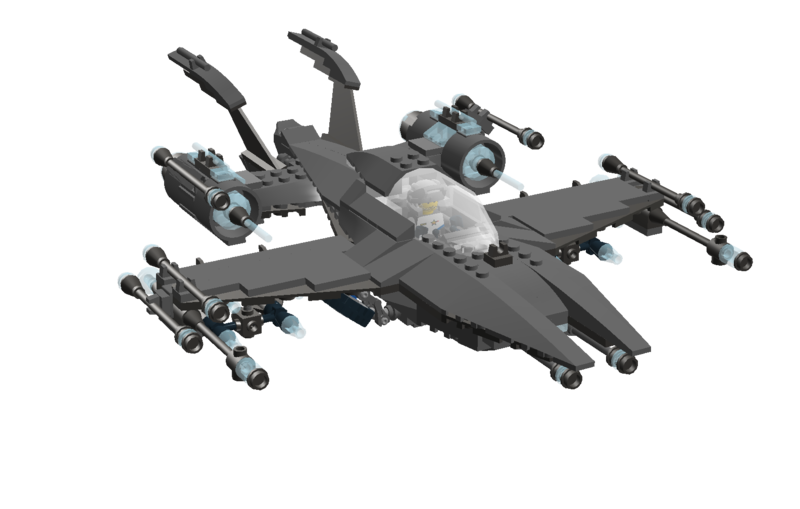 The Star Phoenix has always provided a fast, agile, durable fighter package, much like the Star Falcon, but in a smaller, lighter body. The new 'Phoenix VI is no exception. In my opinion she maintains the spirit of the original Phoenix. Together, the Star Falcon and the Star Phoenix lineups represent the backbone of Star Force's aerospace fighter division. With Star Falcon V Mk2. I don't believe I've commented on any of your starfighters before, so this will be a first. Unusually for me, I actually downloaded the .lxf- and I must say, I like what I see. The underside SNOT techniques are pretty good, and I like the profile the weapons cut; good job there. For a mini-fighter, this is really good. My one complaint would probably be that the engines seem a bit simplistic- but engines are hard to do, so that's fairly minor. Talmid, this is truly a work of art. It is so graceful, so smooth, the design simply flows! WELL done! You have become VERY, VERY good at fighters! Everything about this just FEELS right. Very beautiful fighter. I love the combo of SNOT and plates and it works very well together. The shape of the fighter itself is also really good, and like Dino, said, it looks so graceful. Overall, great fighter, and definitely a very iconic one. As usual for me when I reincarnate a new version of an old version of a fighter, I start with the old one and start changing it from there. 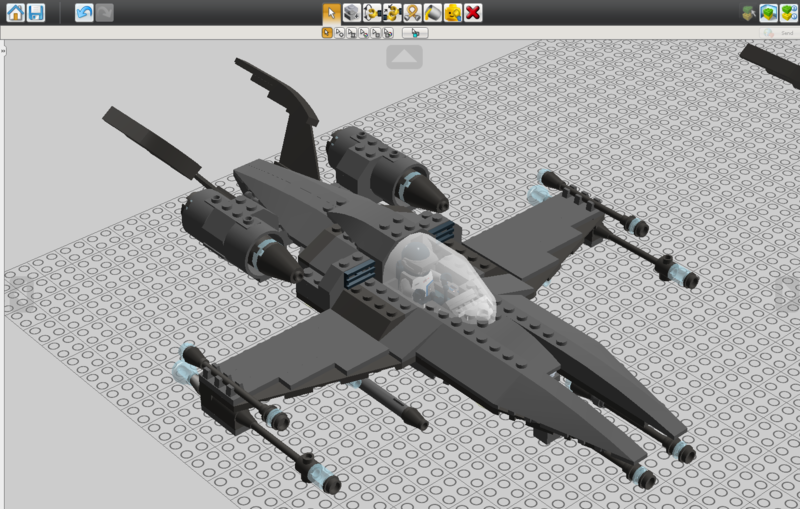 Unusually for me, this involved making the fighter smaller and not making it bigger and adding more weapons. I could upload a picture to show the upgrade trend but it might make your collective eyes hurt. You can sort of see on the 'Phoenix IV in the last picture how many weapons I had on it at one time... actually I posted the 'Phoenix IV to this forum once, and that's not the "worst" one. The worst one would be the III. I went overboard with both the 'Falcon and 'Phoenix IIIs. So here's the first three Phoenix models. Well, I decided to modify the Phoenix as well. 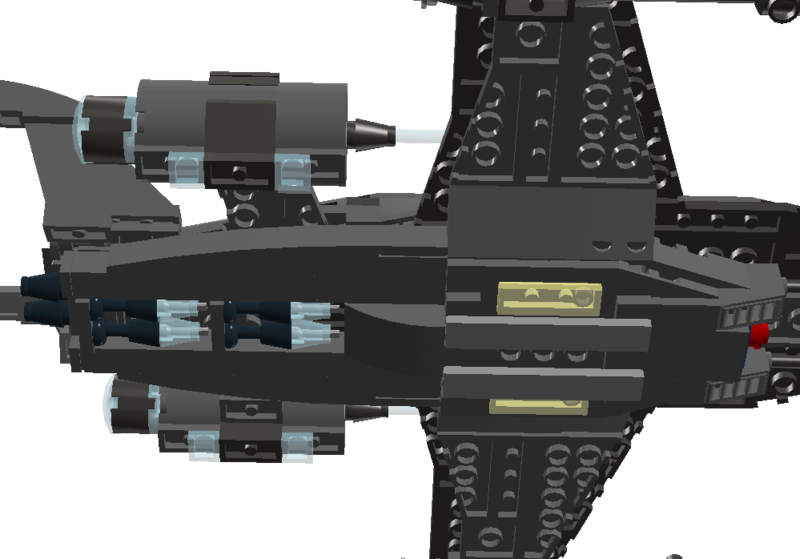 I did a little inner-fuselage redesigning to accommodate better SNOT on the underside, redesigned the bomb bay at the back for double the previous capacity, and did some additional body work. 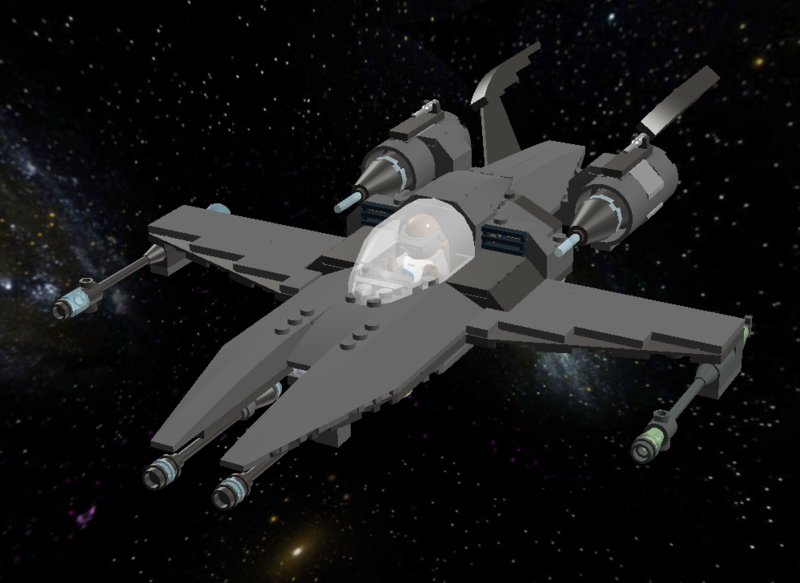 I also made a retrofit Star Phoenix 1, for fun. Looking good! I love the SNOT undersides you do on your fighters, and it's nice to see the retrofit.